Looking for something to pair with the excruciating heat of summer? How about a frothy, cold, delicious craft beer? Whether you’re planning a car-camping excursion into the mountains, or an afternoon of day drinking at Wash Park, there’s easily a beer for every occasion. This summer, saisons, Mexican lagers, and sours dominate the style game. And lucky for you, we’ve done the legwork to help you discover your new favorite brew. From taproom one-offs to year-round six packs, here are the latest and greatest Colorado beers that we can't get enough of. While Cerebral has been open for less than a year, it has already garnered quite the following, and for good reason. Its first foray into the world of mixed fermentation, Firstling is the love child of the brewery’s house saison strain and two Brettanomyces strains. Aged in stainless barrels for six weeks, the final product is a dry-hopped and wonderfully drinkable offering. While this limited release may run out before you can grab a pint, the brewery promises additional mixed-fermentation offerings in the future. Since virtually setting the standard for Colorado IPAs, Odell has proudly represented the state since 1989. And while the Fort Collins brewery is the third-largest in Colorado, it hasn’t released a proper year-round offering since its aforementioned hop bomb in 2007. Finally, the wait is over with Drumroll, a hazy, juicy American Pale Ale that will go straight to cans. Brewed with eight hop varieties, the beer’s grapefruit, peach, guava, coconut, and red-fruit-punch flavors make it the perfect pale ale. This RiNo brewery has slowly become a widespread Denver favorite, thanks to its consistently solid beers and killer taproom vibes. Back again for another summer release is New Wave, Ratio’s tart, low-ABV Berliner weisse, and this year, it’s being released in bottles. 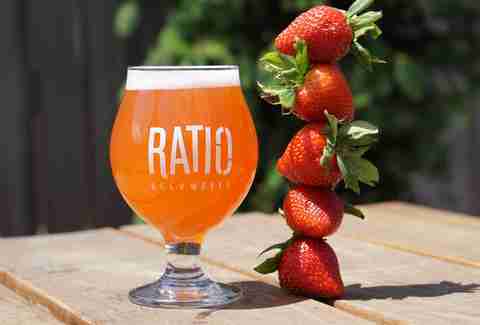 Brewed with 300lbs of real strawberries per batch, the bright-pink, effervescent beer is “brewed with patio sessions in mind,” according to the brewery. Grab a bomber while you still can. The latest entry in the microbrewery-attempts-macrobrew category is Los Locos, a Mexican-style lager brewed with just enough sea salt and lime juice. Created originally for Los Chingones -- Troy Guard’s insanely creative Mexican restaurant down the street from Epic’s RiNo taproom -- the beer pairs perfectly with spicy food and hot weather. Light, refreshing, and, most importantly, transportable, the beer is summer in a can. While this Park Hill brewery just released its American copper and pale ale brews in cans -- both fantastic summer brews in their own right --we personally can’t wait for the debut of Tangerine Cream. With a taste profile that resembles a Dreamsicle (remember those?! ), this totally sessionable, easy drinker will leave you nostalgic... and slightly buzzed at the same time. 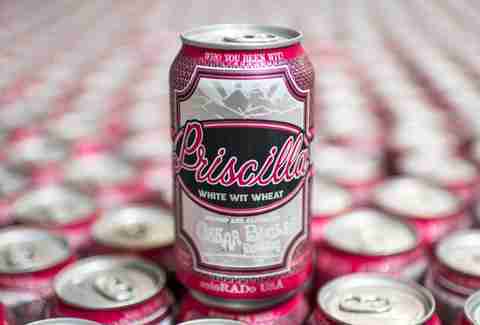 Another sour from Colorado’s irreverent heavy hitters? Say no more. This time around, the brewery has opted for a more traditional style -- with an Avery twist, of course. Using German-style, unfiltered gose wheat beer as inspiration, El Gose shakes things up with the addition of lime and sea salt for a crisp, clean finish. What was once a taproom rarity will be released in cans this July. Dare we say it’s a beer drinker’s answer to margaritas? Oh, we dare. We dare. Since opening its behemoth barrel bar last July, Great Divide has upped the ante on its already impressive operations. 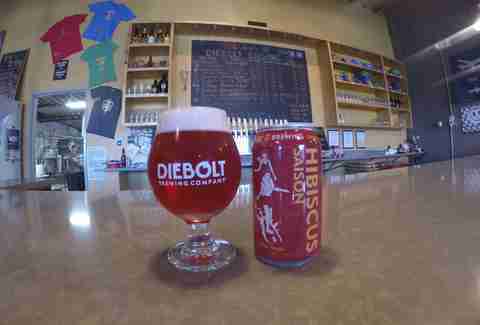 In addition to revamping the beloved Denver Pale Ale this summer, the brewery is also releasing a brand new seasonal hibiscus saison. 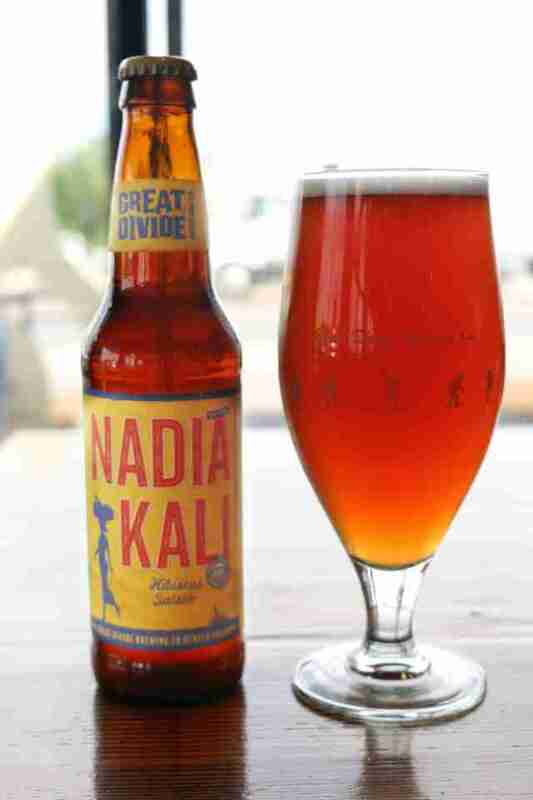 Boasting fruity, slightly floral notes and a dark copper color, Nadia Kali is a complex, cross-cultural beer that’s as pretty as it is drinkable. 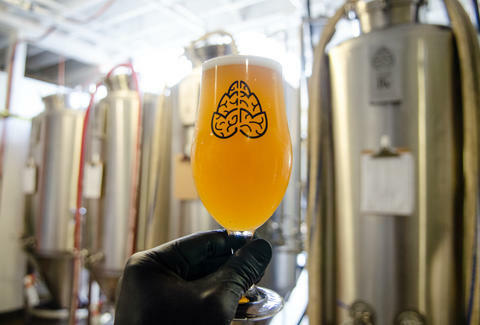 Merging two of summer’s biggest beer trends -- sours and saisons -- is Ethel, a kettle-soured brew with notes of tropical fruit, citrus, and gentle spice. Unlike some sours, Spangalang’s interpretation is bright and balanced with a tart, dry finish. Available only at the Five Points taproom, this beer demands to be filled in your growler and consumed somewhere in the sun... maybe an island, where you can play and have fun. Touted as a honey hibiscus saison, this beer is named after an unintelligible Elvis Presley quote from the film Blue Hawaii ("Let’s go down to the beach and get wiggy wiggy"). While we’re not quite sure what wiggy wiggy means, in this case, it translates to “good beer.” From its brilliant red hue and tart, fruity aromas to its smooth mouthfeel and acidic finish, Wiggy Wiggy is a truly unique brew that plays with senses. Keep an eye out for cans later this summer. While Jagged Mountain initially made a name for itself with mammoth, high-ABV offerings, the Ballpark brewery has toned things down a bit in the last year. What they haven’t compromised, however, is flavor and complexity. Their dry-hopped Paria starts with tropical fruit & citrus notes, continues with a pleasant Belgian spice, and ends with a clean, dry finish. It’s the perfect pre- or post-Rockies game brew. Who says all summer beers have to be sessionable? Building on the success of the brewery’s wildly popular Incredible Pedal IPA is Tandem Pedal. A blend of five hops provides robust notes of tangerine and grapefruit, while the addition of blood oranges adds a satisfying sweetness. The beer is being released in 22oz bombers, making it perfect to share with a friend -- and at a whopping 10% ABV, you may need to do so. 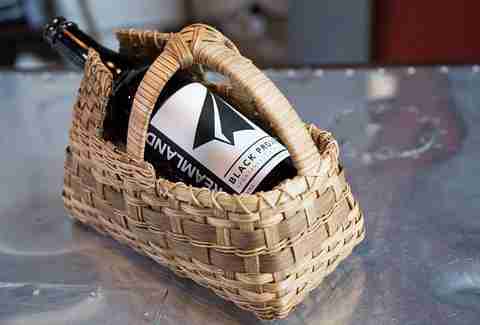 The passion project of James Howat, owner and brewmaster of Former Future Brewing Company, Black Project has racked up awards for their mixed-fermentation beers. Their latest, a draft-only wild yeast saison being released on July 1, features isolated, 100% coolship-caught yeast from Dreamland -- the brewery's golden sour ale. With notes of cloves, pepper, esters, and a hint of bubblegum, this dry finishing, bright saison is a perfect summer sipper. But be warned: The limited, small-batch deal will move quick. One of Denver’s reigning kings of IPAs (we'll say it) toned the hops down a bit with its English summer ale. Brewed with wheat, flaked rye, Maris Otter, and five hop varieties, Moneypenny is crisp, refreshing, and totally drinkable thanks to its low ABV and expressive carbonation. Brightly flavored and lightly hopped, this summer sipper shows that simple styles can still be intricately flavored. 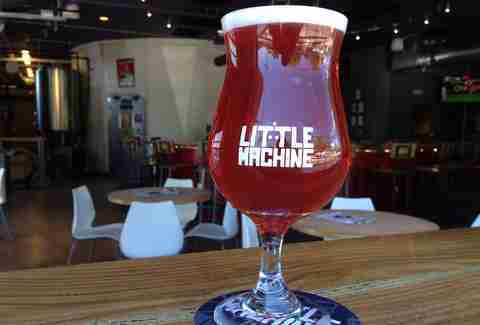 Little Machine has been slinging suds blocks from Mile High Stadium since opening last October. And while Alternating Currant has been on tap since day one, it’s making its official summer debut in 2016. Approachable and refreshing, this sessionable wild ale offers a distinct, fruity currant flavor paired with the perfect amount of bretty, funky goodness. Perfect for puckering on the brewery’s brand new patio. Anyone who worships TRVE knows that the brewery brews up super-small batches that sell out quickly. While the limited nature of its brews can be frustrating for those not in the know, it’s also rewarding for those who are. Released in May, Ostara is TRVE’s latest sour offering and its homage to warm weather. Brewed with dandelion, lemongrass, and lemon peel, the beer is wonderfully balanced and complex. Grab a bottle at the taproom while you still can. 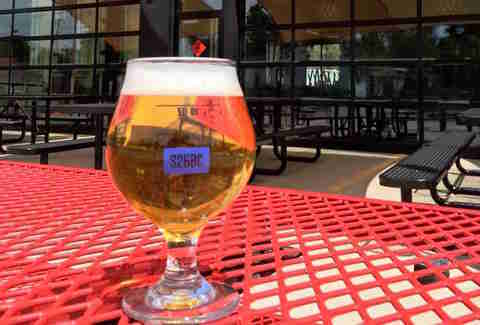 Any Denver drinker worth their salt has consumed an Apricot Blonde on a patio at some point. It’s a classic Colorado brew that piques even the interest of non-beer lovers. Sour Apricot balances the familiar, fresh fruit flavors of its sister brew with a pleasing, moderately sour finish. And while the beer has been pouring at the taproom for several years, it makes its can debut just in time for summer. Expect this to become yet another Denver summer staple. Frequenters of the Tasty Weasel Tap Room, Oskar Blues’ tasting room in Longmont, will most likely be familiar with Priscilla. While it’s been on draft for a decade, this summer is the first time it’s being distributed in cans. Pouring a straw yellow with a bright nose, the light, effervescent witbier is a little fruity, a little citrusy, and a little tart. Be careful with this one. Thanks to its wildly drinkable characteristics, one beer can easily turn into three. Sometimes, you just need a damn good IPA to quench your thirst. Released at the tail end of April, this brand-new brew will satisfy hopheads all the way into the dog days of summer. Brewed with hops hand-selected by Black Shirt’s head brewer, the IPA boasts grassy, citrusy aromas and a dry, tropical fruit body. It’s a true Colorado crowd-pleaser from a brewery that’s consistently on top of its game. Between its rotating Lips of Faith releases, the Fat Tire 25th Anniversary mixer, and the annual Tour de Fat celebration, our friends over at New Belgium are staying busy this summer. 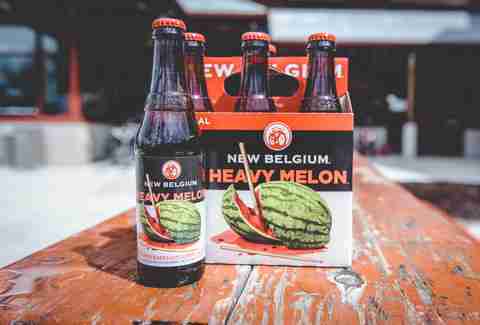 Yet somehow, the brewery still managed to debut a new seasonal beer in Heavy Melon... and it’s a solid summer ale at that. Brewed with melon and lime peel, this crisp, refreshing beer is perfect for patios and summer nights. Otherwise known for its award-winning brown ale and hopped-up offerings, Telluride Brewing Company joins the easy-drinking game with Whacked Out Wheat. Light, crisp, and refreshing, the wheat beer is a solid representation of the approachable style. And thanks to its Telluride roots, you know the beer is ready for any summertime mountain adventure you put it through. Just remember to pack in and pack out. Trenton Reed is a full-time copywriter and freelance food writer who enjoys a trail beer or two. Follow @_trentonreed on Twitter and Instagram.